Our 1500's trim level is Laramie. 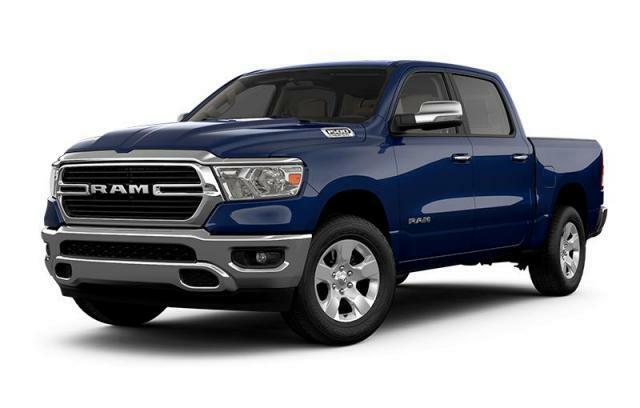 This Ram Laramie gives you a luxurious workhorse that won't break the bank. It comes with leather faced seats which are heated, cooled, and powered in front, a heated steering wheel, memory driver's seat, mirrors, audio, and pedals, mobile hotspot internet access, dual-zone automatic climate control, Uconnect 4 infotainment system, aluminum wheels, a rear view camera, and more. This vehicle has been upgraded with the following features: Navigation, Uconnect, Navigation, Uconnect, 8.4 Inch Touch Screen, Sunroof, Leather Seats. View the original window sticker for this vehicle with this url http://www.chrysler.com/hostd/windowsticker/getWindowStickerPdf.do?vin=1C6SRFJT5KN501487. Payments from $820.36 monthly with $0 down for 96 months @ 4.29% APR O.A.C. ( Plus applicable taxes - Plus applicable fees ). Incentives expire 2019-04-30. See dealer for details.